U.S. Senator John Cornyn (R-TX) joined with Senate colleagues today to introduce The Safeguarding Elections for our Nation’s Troops through Reforms and Improvements (SENTRI) Act, S.1728. The bill will expand access to voting for military and overseas voters and improve voting assistance opportunities. “It is unacceptable that our service members and their families are facing hurdles when attempting to exercise one of the most fundamental rights they fight and sacrifice to protect—the right to vote. + Improves voter registration and voting opportunities for service members through use of online systems and by requiring voter assistance as a routine part of service members’ annual training. + Ensures requests for absentee ballots are valid for one full federal election cycle. + Strengthens protection of voting rights of military and overseas voters. + Requires reporting on implementation and effectiveness of new voter assistance obligations. The full text of the bill (designated S. 1728) is available via the Congressional Record here [second page – S8190]. It is likely that the SENTRI Act will be considered as an amendment to the defense authorization bill currently pending in the Senate. 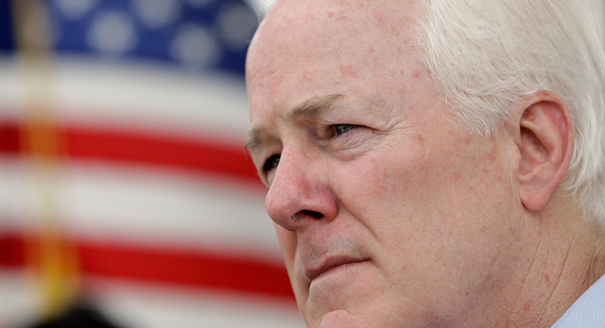 Be the first to comment on "Cornyn Introduces SENTRI Act to Aid Military and Overseas Voters"